Q: Is Hashimoto’s Thyroiditis hereditary? A: Yes. 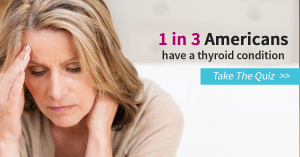 If someone in your family has Hashimoto’s Thyroiditis, especially one of your parents, you should get tested. Q: Is soy bad for my thyroid? A: Soy is a goitrogen and as such, it can suppress thyroid function, especially if consumed in high quantities. If you are taking thyroid medications such as Synthroid or Levothyroxine, do not eat soy for several hours before or after you take your medication.